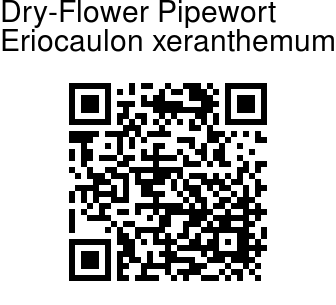 Dry-Flower Pipewort is a tiny stemless annual herb, 3-6 cm tall. Leaves are lanceshaped, 2-4 cm long, flat, curved. Flowers are borne in right round heads surrounded by white dry-papery bracts, much longer than the heads, carried on stout stalks 1-5 cm long. Seeds are oblong, yellow. 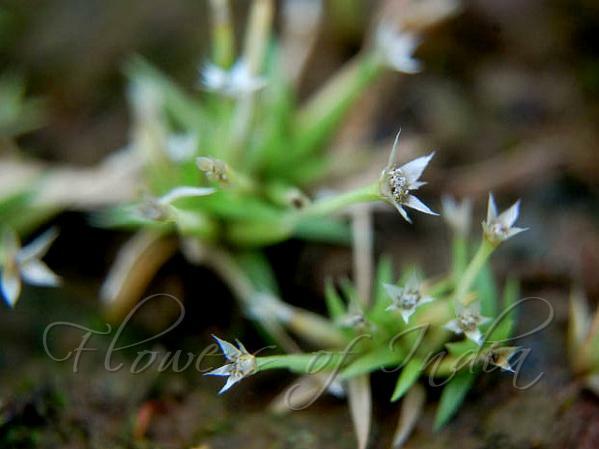 Dry-Flower Pipewort is occasionally found in grasslands in Konkan region. Flowering: September.